Artificial Limbs provides Breast Prosthesis Cape Town based, and nationally in South Africa. 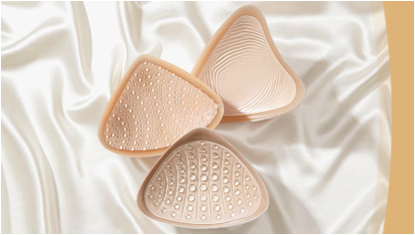 We supply Amoena Breast Forms and Mastectomy Bras. Single layer lightweight silicone breast form with a softer look and pleasant feel. Restores body symmetry and developed to meet the essential needs of women following breast surgery. Feels like part of you. Adheres directly to the chest wall to ensure complete security, follows every body movement naturally and distributes weight more evenly, thereby relieving stress on the shoulders and back. Natural look and movement, this breast form is designed to drape softly, thereby closely resembling the fall of a woman’s own breast. Moves naturally with the body and flattens when lying down. Contact Artificial Limbs for Breast Prosthesis Cape Town based!